Yesterday we had two interviews and a guest post all go live! 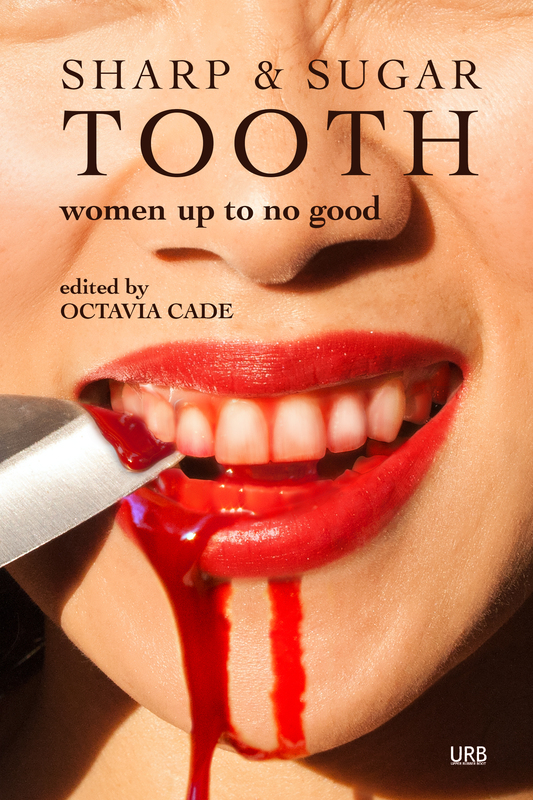 Quick Questions – Octavia Cade and Joanne Merriam of Women Up To No Good, from Charles Payseur. For me dark fiction is inextricably linked to temptation, to identification with the wrong. It’s one thing to know that poisoning is immoral in broad daylight, and quite another to be brought to feel, though fiction, that poison can be an excusable and tempting thing. It’s a temporary identification, perhaps, but I tend to think that deliberately acknowledging our own capacity for identification with evil is a form of inoculation towards it. In that way horror can be a very empowering genre – at its best, it’s all about self-knowledge and perseverance in the face of failure. Interview with Joanne Merriam, editor of Broad Knowledge, from Sarena Ulibarri. When I’m selecting stories, I try to read blind by saving all of the stories under their titles and removing author identities. Of course, it’s never entirely blind because I can recognize some writers’ voices, but I make the attempt, which means that I have to address diversity in my submissions pool before I get to that largely-blind selection stage. GUEST POST: How A Small Press Is Born, from Alexa at A Thousand Worlds. We’re living in interesting times in the book industry. Issues like monopoly power and predatory pricing, piracy, authors’ rights, and fair compensation are all coming to the forefront. Opportunities to interact in new ways are growing as technology matures. Writers can contact readers more directly. Readers can become book critics with tools like NetGalley. And tiny publishers like me can use tools like Kickstarter to reach readers directly and ask for pre-orders so they can pay their writers professional rates without going bankrupt. Today we feature two stories of sisters conspiring to do magic with disastrous results. 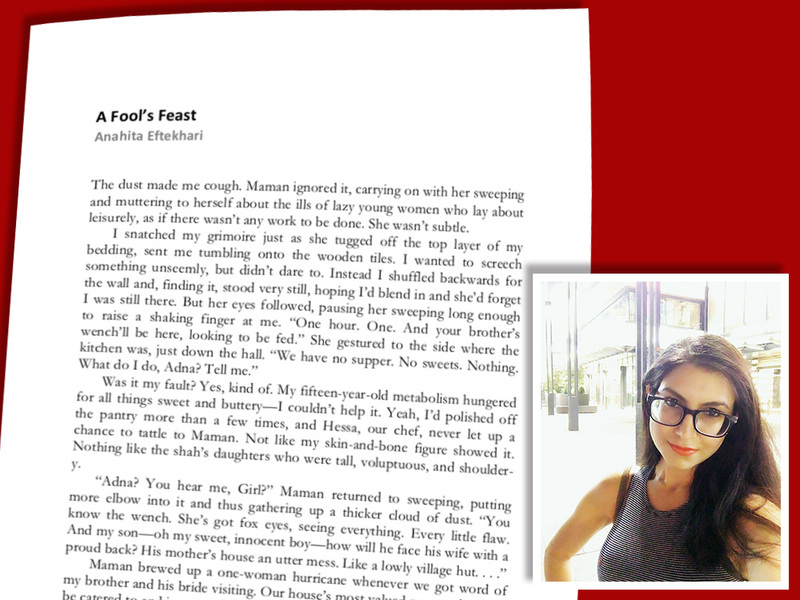 In Anahita Eftekhari’s “A Fool’s Feast,” two sisters are expected to go hungry when their brother shows up with his bride and her whole family (“I closed my eyes, counted to five, and opened them again. But they were still there. Car after car. A whole herd of them. Men and women inside. Kids too. My brother’s bride’s people.”) and their mother doesn’t have enough food—so they “help” with a little magic they inherited from their dead father. In 2013, a Category 5 typhoon called Haiyan swept across central Philippines, leaving thousands dead in its wake. I was working as an online journalist-editor at the time, and my job required me to monitor the television for news. The torn roofs, leveled buildings, the bodies floating in filthy water, and an interview with a man who walked six hours while carrying his dead daughter made me think this, this is what the apocalypse looks like. Fast forward a few months later, at the Clarion Science Fiction and Fantasy Writers Workshop in San Diego, I still couldn’t get all that destruction out of my head. 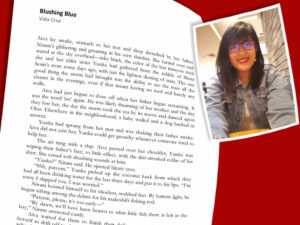 Combined with a classmate’s excellent tattoo of a galleon sailing the seas, I tried to exorcise every image of that watery hell with tattoo magic during my fifth week story, which turned out to be “Blushing Blue.” I let it sit for a few years because, after all that time, Haiyan was still too fresh. When submissions for Broad Knowledge opened up, I felt that I could take a look at this story without crying up a storm myself (after all this time, that lasts for about 10 minutes). Rebuilding efforts post-Haiyan are still ongoing; if you’d like to know how to help, this charity is a good place to start. Go to the Kickstarter to donate and pre-order now! 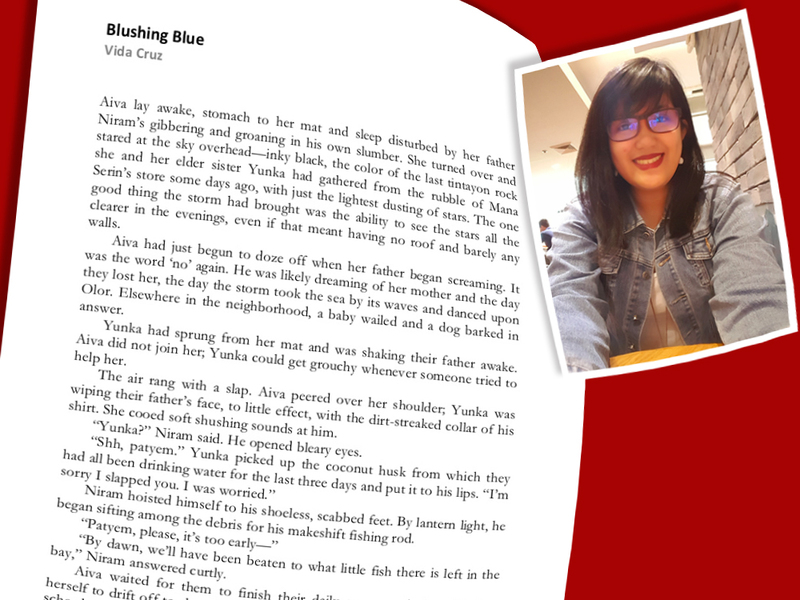 Vida Cruz is a Filipina born, bred, and based in the Philippines. 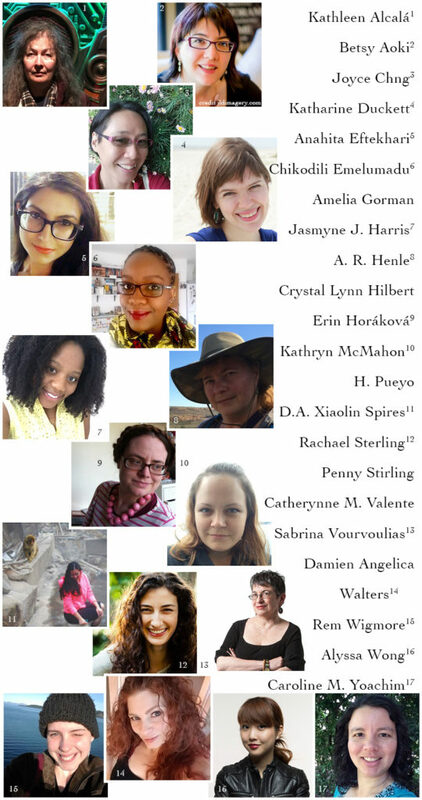 A 2017 Writers of the Future winner and a 2014 graduate of the Clarion Science Fiction and Fantasy Writers Workshop, her fiction has been published or is forthcoming in Writers of the Future vol. 34, Expanded Horizons, Lontar: The Journal of Southeast Asian Speculative Fiction, Philippine Speculative Fiction, and the Australian fantasy anthology Phantazein. In her spare time, she draws pretty things, pets all the dogs, and claws at her towering TBR pile. Tweet her at @laviecestmoi. If you’d like to help the rebuilding or rehabilitation efforts for the Typhoon Haiyan/Yolanda survivors, this charity is a good place to make inquiries.